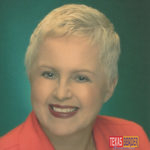 Louise Butler is Chairman of the Utilities and Natural Resources Committee of the Texas Silver-haired Legislature. Ms. Butler has degrees in education, administration and economics. Her unique expertise in both science and economics has led to some interesting adventures. Her husband says she will go any place where she gets to wear a hard hat. She has studied and written curriculum for Project Taurus at the Harvard Center for Astrophysics and the U. of Missouri’s School for Earth and Atmospheric Sciences. She is the author of three books, co-author of a science text and writes regularly for The Monitor. Before retirement, Ms. Butler was a teacher, principal and college professor. Louise lives in Edinburg, Texas where she enjoys good books, good friends and good scotch.